PT. 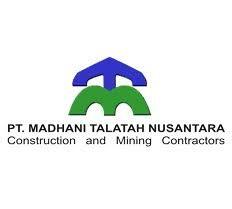 Madhani Talatah Nusantara, Our mining services are being delivered to various small, medium and large scale mining projects, each utilizing a combination of local knowledge and international experience. We offer practical solutions delivered in an environment of close co-operation with our clients and all stakeholders to ensure we provide competitive, innovative and high quality services with a positive impact on local communities and the wider natural environment. Our skilled and motivated employees are our key asset in who we are and what we do. - Fresh graduates with GPA minimum 2.75 of 4. - Willingness to work at remote area to all our projects (Sumatra, Kalimantan, NTT). - R&R 70 days on site 14 days off. - Fresh graduates with GPA minimum 3.00 of 4.